Surely Michael (my little brother) wasn't going to appreciate the Thai green curry I was making yesterday. 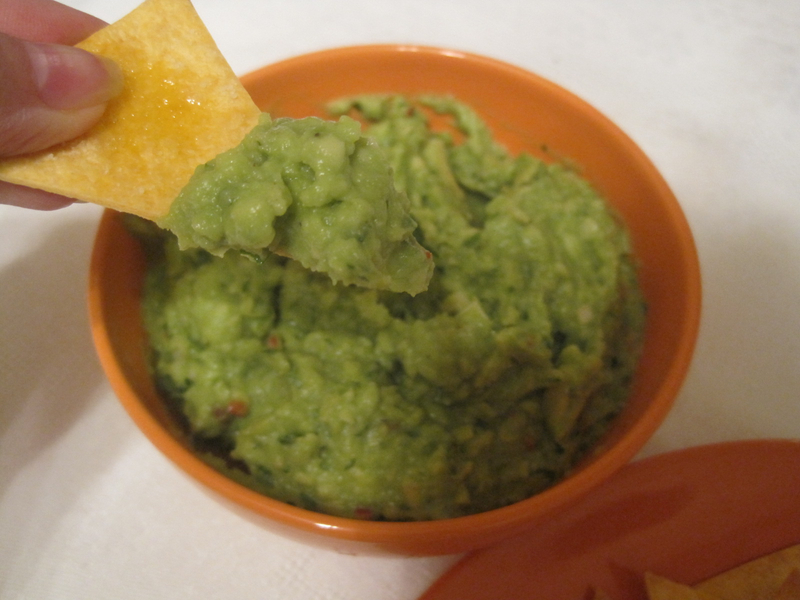 So I thought why not finally make my own guacamole with some tortilla chips for him? It is one of those simple and delicious things we love. Well, to be completely frank, I love the guacamole and he loves the chips. I'm not a fan of making at home something I can easily buy. Guacamole I prefer to make though. The difference between the fresh one and the one from the jar is humongous, even if it is a very good jar. The process proved to be fun. 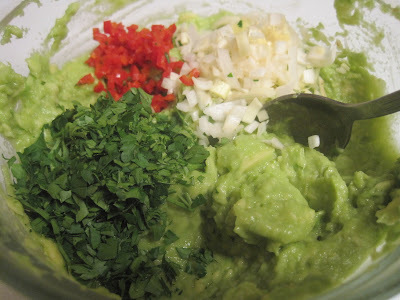 Finely chop the deseeded chillies, spring onions and cilantro (or use a blender). Halve the avocados and scrape it out to the blender bowl. Blend either until slightly chunky (which I prefer) or until completely smooth. Add the chillies, spring onions and cilantro. Season with lemon juice, pepper and salt to your taste. Get some tortilla chips or warm and crispy quesadillas and go ahead.